ST. GEORGE – Trinity Schimbeck is a three-sport athlete at Desert Hills High School who competes in track, swimming and cross-country and she’s just 15 years old. Schimbeck is a highly competitive triathlete who was invited to Florida to compete with the best triathletes in the nation. 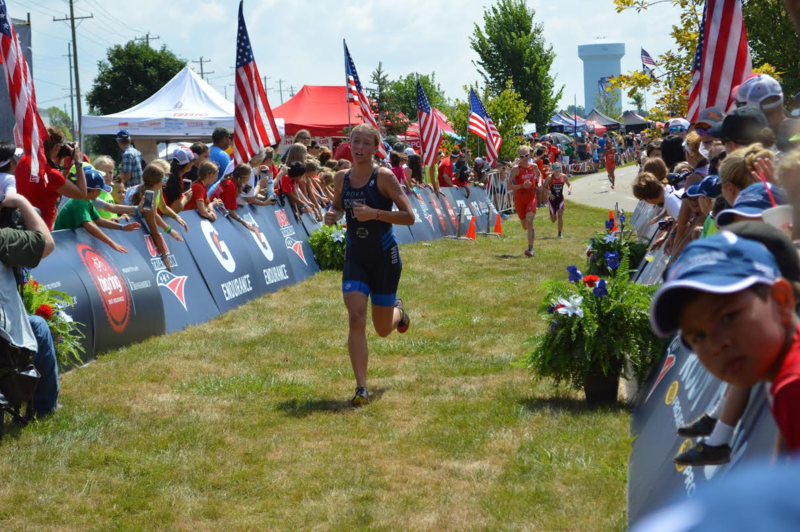 Trinity Schimbeck is one of only 10 teens, ages 16-19, triathletes from the United States chosen to race in the Camtri North American Junior Championships in Sarasota, Florida. Schimbeck will race against other athletes from Mexico and Canada. Though she is only 15, she will race in the 16-19-year-old bracket because race brackets are decided by the age the racer will be at the end of the year, Trinity Schimbeck said. And it all started with a friendly competition. She tried her first triathlon when she was about 11 or 12, Trinity Schimbeck said. Her dad, Gage Schimbeck, had entered a triathlon so she entered the kids version of the race. “I did a kid version … and I really liked it,” Trinity Schimbeck said. As it turned out, Trinity Schimbeck was also very good at it. She said she decided to keep racing triathlons and even wanted to see if she could beat her dad in a race. For her it was like ‘I always wanted to beat my dad.’ I’m not anything special at triathlons but for her it was always ‘dad.’ I can’t even ride with her anymore because she’s way faster … she out rides me now, she out runs me, she out swims me. Gage Schimbeck jokingly said that when his daughter runs, he has to ride a bike to keep up and when she rides a bike, he has to drive a car. When she swims, he sits on the side. All joking aside, the Schimbeck family is very supportive of one another and most of them compete in triathlons at various distances and levels, Gage Schimbeck said. 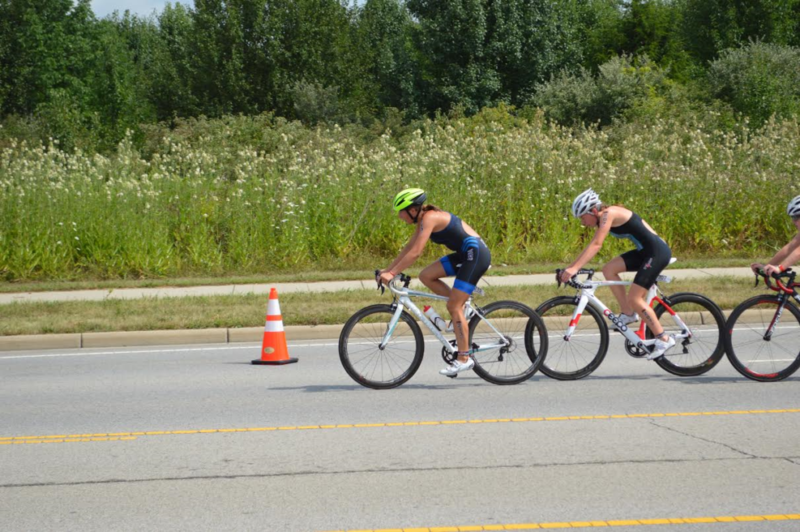 “It’s just kind of become a family event,” Gage Schimbeck said of triathlon. The Camtri North American Junior Championships is an invitation-only race. Trinity Schimbeck received an email the day after Christmas inviting her to participate in the race which will be held in March. The invitation came as somewhat of a surprise to both Trinity and Gage Schimbeck, they said. The prestigious race only invites the top 10 racers from each of the participating countries in each age bracket. For Trinity Schimbeck the race will pose a few challenges; one, the Camtri is draft legal, meaning it is legal to draft on the bike making it much more intense, competitive and potentially dangerous; two, at 15, she will be competing against 16-19 year old women; and, three, this will be her first competitive race at the sprint distance at this level, Gage Schimbeck said. A sprint distance triathlon is a 750 meter swim, 20K (12 mile) bike and a 10K (6.2 mile) run. Trinity has mostly competed in the super sprint distance which is a 400 meter swim, 10K bike and a 2.5K run. Trinity has been ramping up her training schedule and regimen in preparation for the race and even though it sounds daunting, Trinity Schimbeck, at least outwardly, remains level-headed about her goals for the race. 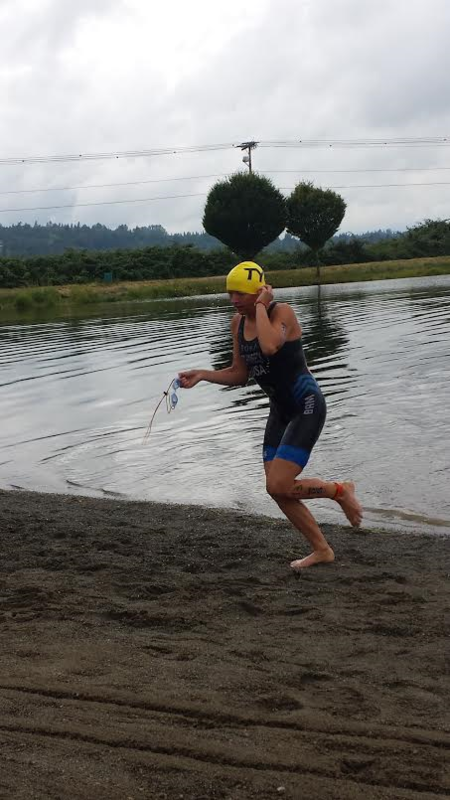 Besides her dad, Trinity listed her triathlon coach at Balanced Art Multisport, her cross-country and swim teams and the Rapid Cycling Racing team as inspirations in helping her get to the level she is. Gage Schimbeck said that it has been exciting to watch his daughter compete at such a high level. Though she may do well at all three triathlon disciplines, Trinity Schimbeck said her favorite part is the run.